Our largest home cinema feels like a cinema installed in a home rather than a home cinema. With a 15 foot wide screen in a huge room, it makes watching TV, movies and music a truly memorable experience. As the size of the room increases a higher quality audio system is required to maintain the remarkable performance of our smaller systems. 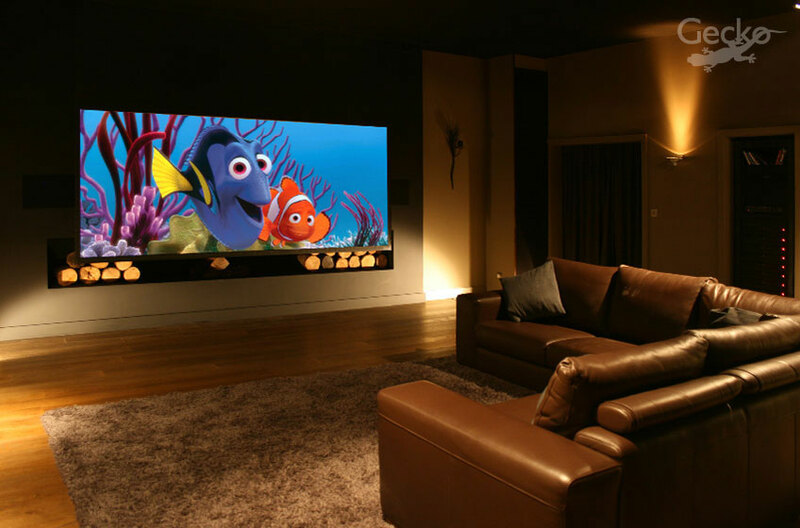 This system has inspired many of the finest home cinemas installed throughout Europe. If you have space for the very best, we highly recommend you audition this astonishing system. Recently upgraded with the addition of Steinway Lyngdorf IW66 loudspeakers, these in wall speakers provide simply astonishing levels of power and fidelity. For larger rooms and no compromise cinemas, they redefine what is possible in home audio reproduction.